Video 1080p - Long row of ancient. identical. hand-carved Buddha sculptures. displayed in a row on brick steps at Wat Yai Chai Mongkhon in Ayutthaya. Thailand. 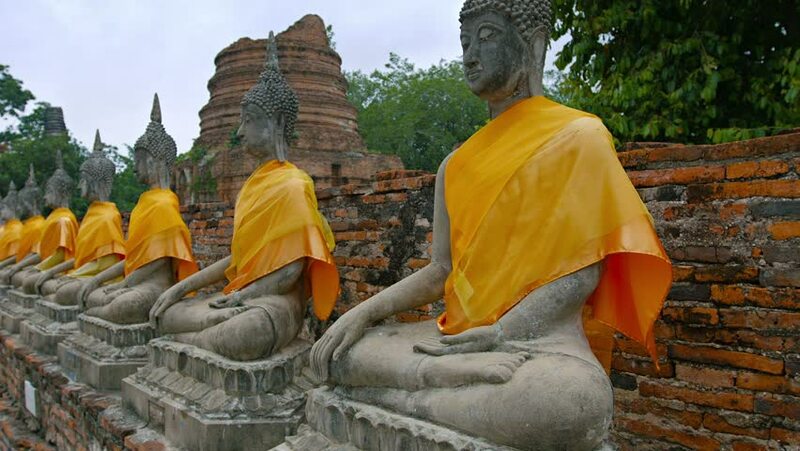 4k00:17.Buddha statues at the temple of Wat Yai Chai Mongkol in Ayutthaya near Bangkok, Thailand. hd00:22Children in a tent by the fire.